Another beer inspired post for everyone this morning. 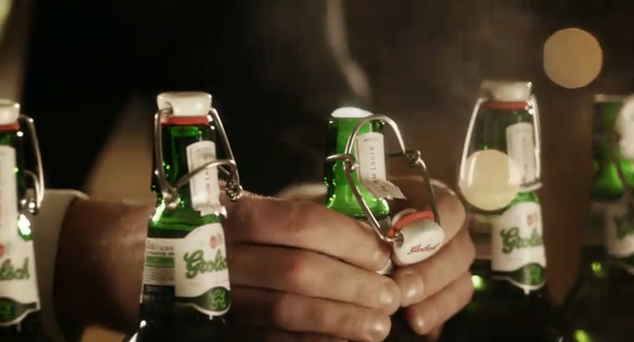 The holidays might be over but that doesn't mean beer maker Grolsch can't wish you a Merry Christmas. Like yesterday, this is yet another very creative way of using our dear friend beer for more creative uses. Something that reminds me of home is the flip cap tops. I haven't seen those around here in the U.S. but when I was living in Austria that tended to be the norm for many of the beers there. Anyhow, take a moment and and enjoy this holiday inspired ad and let me know what you thought! Thanks Chris! Thought you might enjoy this. Oh how I want to go back and visit Wiennnn.